Thank you for being a part of the 2013 Star of Texas Fair and Rodeo. This year was a big success and we received positive feedback on your show. We appreciate your upbeat personality and enthusiasm to go above and beyond! I can't express how appreciative we are of your adaptability to all situations. Throughout the Fairgrounds we heard guests raving about your show and getting to meet the stars! Your willingness to grow with us and create a strong learning environment for our young visitors shows a commitment to our mission "Promoting Youth Education, Preserving Western Heritage." Thank you again for contributing to the Star of Texas Fair and Rodeo. Your hard work and dedication is greatly appreciated by our organization. Thank you for bringing your K9 Kings Flying Dog Show to the 2013 Nebraska State Fair. We had a great response to your show. It was high-energy, engaging and just an all-around quality show. Your show set-up is fantastic, as well. Thank you for you assistance leading up to and during our Fair. I hope you have successful shows ahead of you for the duration of the year! The 68th annual North Florida Fair has just concluded but I wanted to stop and take the opportunity to thank you for your appearance at the fair. The crowds loved your show and you always played to a full house. The K9 Kings Flying Dog Show was the hit of the fair. 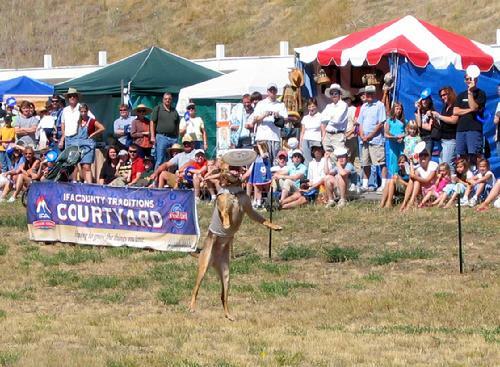 Your dogs are natural born entertainers and captured the attention of many fairgoers. The audiences loved the interactive nature of the entertainment you provide and the educational aspects are important as well. You were also very accommodating in dealing with the school tours and other issues that arose unexpectedly. Thanks again for your contribution to the continuing success of the North Florida Fair. We couldn't have done it without you. Attendance at the 2013 Solano County Fair was very good, thanks to you. Participation in virtually every category exceeded our projections, thanks to you. Comments recieved, both during the fair and since, from fairgoers, participants, local media, community leaders, and even some of our critics have been exceedingly positive, thanks to you. Success such as thisis only possibly by doing whatever you do as a piece of a large puzzle that collectively is the Fair experience, and might I add doing it very, very well. Thank you for making the 2013 Solano County Fair a huge success! Over Labor Day weekend it was our pleasure and privilege to host J. D. Platt and the K-9 Kings at the Soldier Hollow Classic Sheepdog Championship in Heber Utah. J.D. 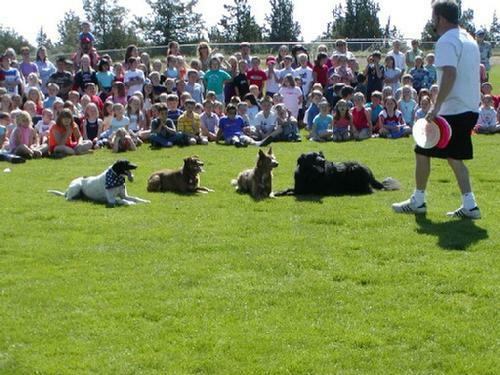 and his troop of canine entertainers played a major role in creating a record total attendance that topped 20,000. 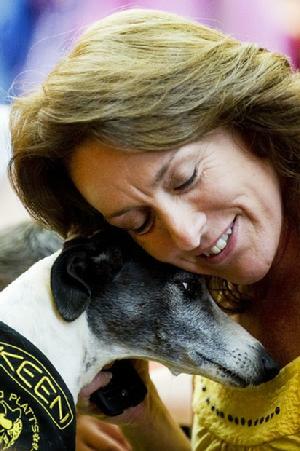 Throughout the event he and his dogs performed as consummate entertainers and professionals. His performances pleased spectators of all ages and especially enthralled the children who cheered for every element of each act. Beyond his professionalism while performing J.D. was also great to work with behind the scene. He went the extra mile the day prior to the event making numerous live televised appearances in Salt Lake City on local news programming (television stations lined up to feature this unique story and live appearance). Throughout his four day stay at the event he always worked to make his contribution part of the overall success of the Soldier Hollow Classic. Each performance began on time and he spent a great deal of time working directly with our spectators in between acts. I give J.D. Platt and the K-9 Kings my unconditional recommendation to any public event looking to add a crowd pleasing, unique and professional act to their show. J.D. 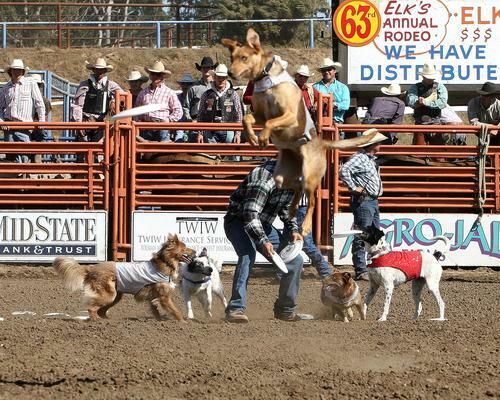 Platt and the K9 Kings Flying Dog Act was our Rodeo's (Santa Maria Elks's) specialty act in June 2006. Our community and our Rodeo crowd felt he was a very good act. We were one of his first PRCA Rodeo's and I, as Rodeo Chairman, feel he will do very well with his act. If you are looking for a family act, J.D. is your man! The Rodeo Committee and I recommend J.D. very highly. You, too, will recommend this young man and the K9 Kings after you have them at your Rodeo. The 2006 Clatsop County Fair was host to J.D. and the K9 Kings for our annual fair. I learned about J.D. through the PRCA convention and we started a relationship from there. I was most impressed with his positive attitude and close relationship with his dogs. He strives to produce a good show that keeps the audience entertained as well as educated. Our fairgrounds layout is not optimal for his performance but that didn't stop J.D. He worked with staff to create the best scenario for everyone. His shows were well attended and community approval lingered way beyond our fair dates. We have had many requests for him to return for 2007. I would whole heartedly recommend J.D. to perform again. On behalf of the Umatilla County Fair Board, staff and community members we would like to thank you for participating in the 2008 Umatilla County Fair. All of the dogs were extraordinary with their incredible speed, jumping abilities and high energy. We are still hearing positive comments about their performance! Once again, thank you for working with us at the 2008 Umatilla County Fair! Thank you for your wonderful performances. We all had a great time and your dogs were a wonderful addition. Thanks again for a great day! Give a round of applause to your amazing dogs! Michelle L. Hankes / cultural arts assistant / City of Everett, WA. Thank you for a super fun and fabulous performance! It was a pleasure to meet everyone and watch your fantastic show. You all are really true champion dogs! The number of comments and the willingness of our students and staff to stand out in the drizzle to watch the amazing Frisbee talents of the K9 Kings is a testament to how much everyone enjoyed the show. J.D. is very supportive of our schools and the fee he charged for this assembly fit perfectly into our budget. He drove all the way from Bend, about a 3 hour drive, just for our assembly and I really appreciate that. We were also thrilled to be able to interact with the dogs at the end of the assembly and had long lines of students and teachers waiting for their turn to pet the dogs and get a lick on the hand. I highly recommend that you schedule this show for an event and I know you will not be disappointed in any way. I wanted to thank you for putting on your show for us last month in the middle of the road. Ellie has not stopped talking about your dog show. In fact, her favorite part of our week long vacation to Oregon was the K9 King show in the middle of highway 20 on the first day of our trip. Quinn and the rest of the family enjoyed the show as well. I appreciate your enthusiasm and kindness that day. It was wonderful to see the smiles you put on complete strangers. No one would have wished that a head on crash would have provided such an opportunity to meet you. Your kindness that day has etched a memory for an eternity. Not many people believe us when we tell them we saw a dog show in the middle of the road on vacation. It is kind of unbelievable. I think that is why Ellie was so excited and touched. Thanks again and best regards. I think you are the best with dogs. My favorite dog you showed us is Olympia. I was one of the students at Sisters Elementary School. My favorite thing you did is the one where you throw the frisbee really high and far and the dogs go get them. I saw you at the Golden State Classic this past weekend. Really impressed with you and your Kings. Great show and wonderful dogs! Good luck to you and your dogs. Can't believe it's been a week since you did the dog show. Thank you so much for coming out to do that. It was a great day and fun was had by all. I sure appreciate you donating your time for the Sonrise auction to help raise funds for the school. Have fun with all your shows this summer and god bless! Just wanted to say I saw you and your wonderful girls perform this weekend at the Sheepdog event. Thank you so much for encouraging the audience to adopt dogs and cats from shelters. I work at the largest animal shelter in Utah, and we take in over 10,000 pets a year. Tragically, less than half find new homes. I cannot tell you how much I appreciate you talking about your experience adopting a shelter dog, and encouraging others to make the same, responsible choice. THANK YOU from all the staff and animals at Salt Lake County Animal Services.